No instructions - just a photo, design outline to trace and a diagram of what beads to use where. Reduce it in size and you have a pin for Valentine's Day. Stitch instructions are not included. 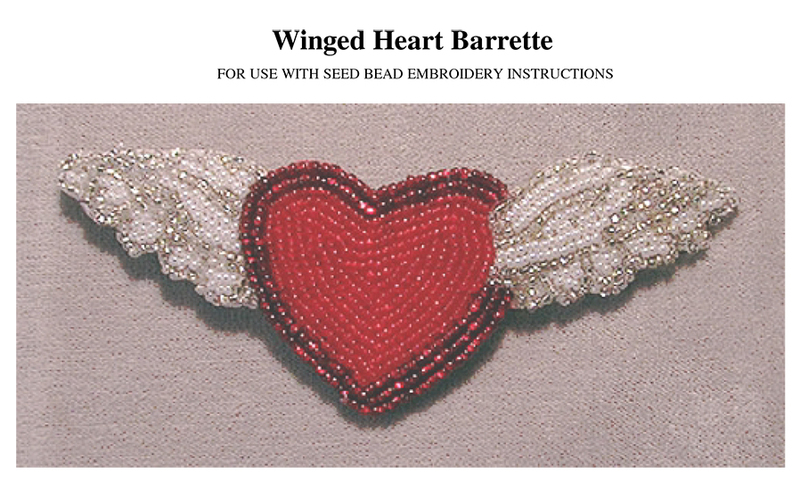 FREE Basic of Seed bead Embroidery instructions are available.